This weekend, I stopped over in Roswell to help my mom clean out the last remaining items from my childhood bedroom. We left behind a few pairs of pajamas and a change of clothes or two for those weekends that I decide to stay over, but otherwise, the room is now clean and ready for a fresh coat of paint and decor worthy of a guest room! My mom and I had a good case of the giggles as we sifted through the tchotchkes that remained on my bookshelves and inside my closet. What I had left behind on the first clean-out was a tad ridiculous. 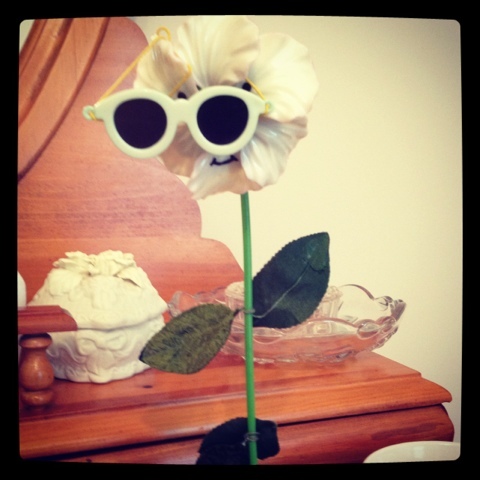 Case in point, who needs a broken dancing flower in 2012?! Remember how I did that post on wearing bridesmaids gowns again? 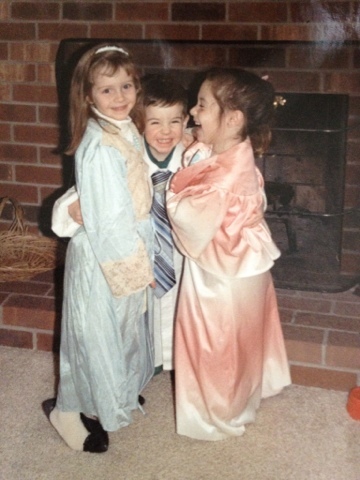 Well, this might be my original wear-again dress, a bridesmaids gown from my aunt and uncle's wedding in the mid-90's! Check out those shoulder pads! My mom shorted the dress after the wedding and I wore it again to a bar mitzvah a year or so later. 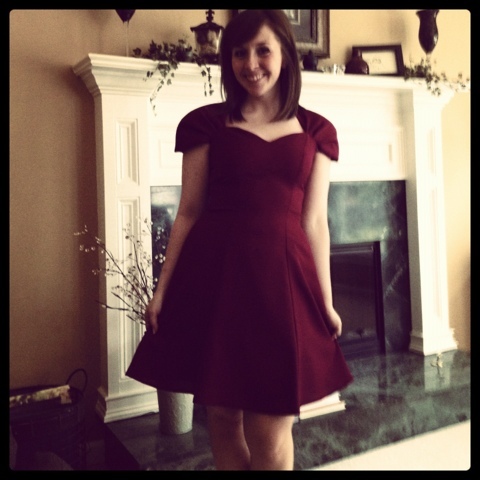 Party dress, done! We laughed so hard when we realized that the dress still fits perfectly. Too bad I stopped growing when I was 12?! Never fear, though, this one isn't going away. It's going into a bag for future costume needs. Trust. My favorite part about cleaning out the room was going through all of my old photos that I had stashed away in tons of albums. Most got thrown out (my 15 year old self took a lot of random, useless shots of trees and lakes...) but many are getting stowed away in my albums here at the condo. The best ones? The photos from my childhood growing up outside of Richmond, Virgina. 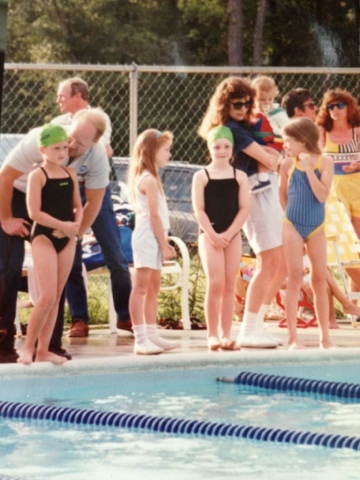 Look at me, a baby swimmer all those years ago! Go Evergreen Gators! 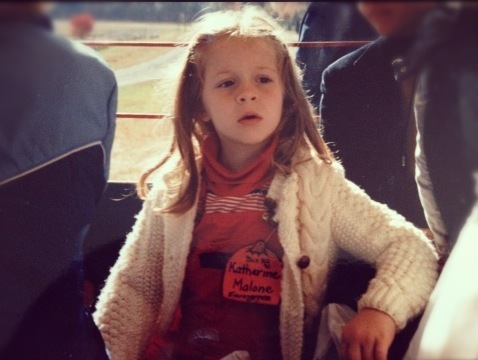 Oh my, I was such a fashionista-wannabe, even back then. Look this pose during a game of dress-up! Since my brother and I are only two years apart, he and I played a lot of game together while growing up. 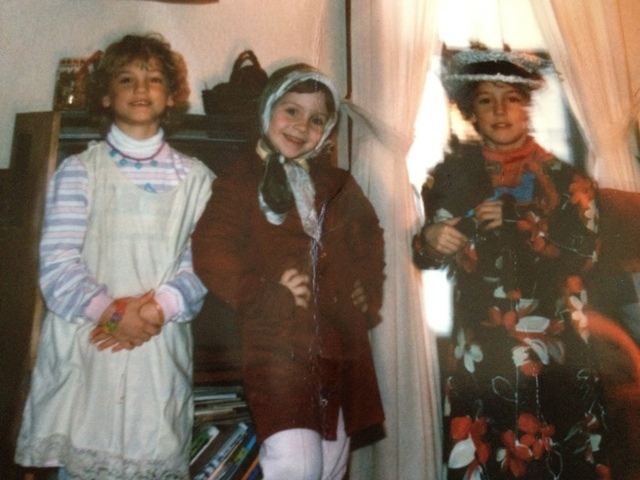 Here we are with another game of dress-up -- Colin in my dad's clothes and me and a friend in my mom's old 70's dresses! Talk about a wear-again dress: that sherbet dress on the right was a bridesmaid's gown of my mom's!! Mom - I am so glad we found those photos! They are great! !